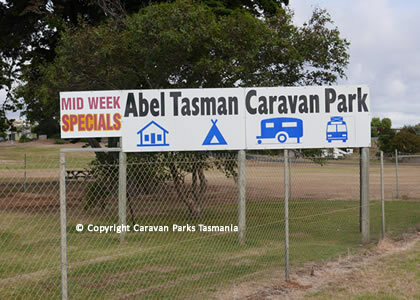 The Abel Tasman Caravan Park East Devonport, Tasmania is close to the Spirit Of Tasmania ferry and provides camping sites, cabin and caravan accommodation in Devonport, Tasmania. 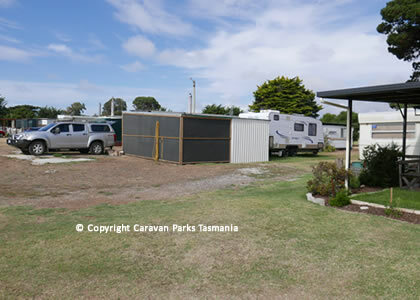 This well positioned caravan park in East Devonport is only minutes away from the centre of Devonport. 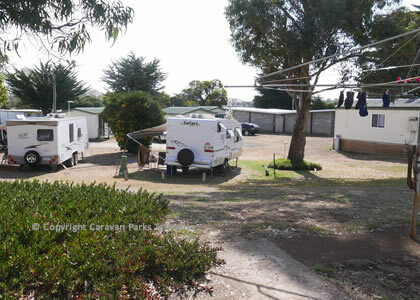 The park provides powered and unpowered sites as well as onsite caravans for hire. There are fully self-contained en-suite cabins with linen provided for the double bed. Family cabins can accommodate between 5 and 7 guests. 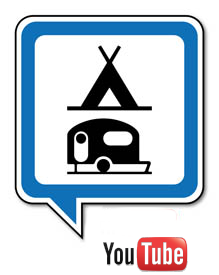 The cabins have showers, electric blankets and a kitchen. 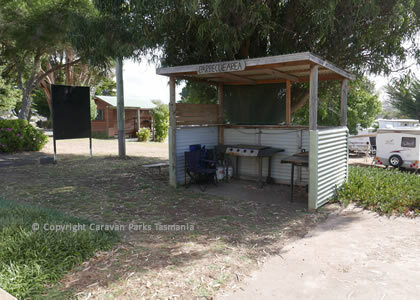 There is an indoor and outdoor camp kitchen and barbecue area. 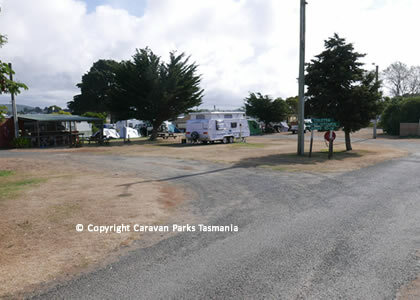 Drive-through sites are available for the larger campervan, camper trailer, motorhome or caravans. 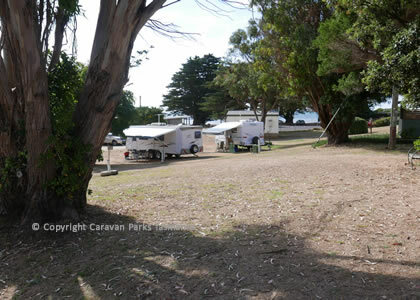 This park also has laundry facilities and a playground next to the beach. 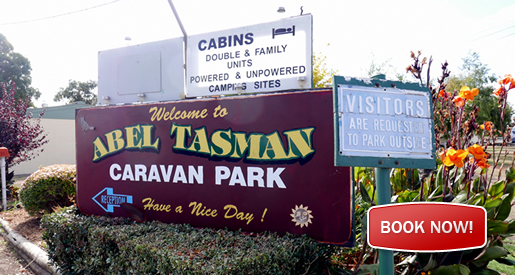 The Abel Tasman Caravan Park Devonport is located less than 1 kilometre from the Spirit of Tasmania ferry terminal and Devonport is only 60-75 minutes drive from Launceston and app. 350-minutes drive to Burnie. 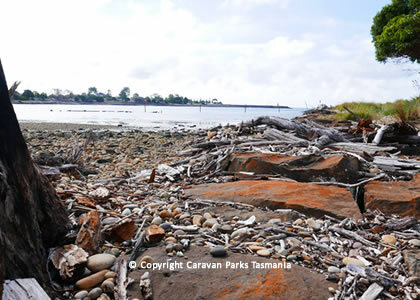 Located just 1 kilometre from the Ferry Terminal - Spirit Of Tasmania. Drive thru sites, Ocean & River Views. Indoor, outdoor Camp Kitchen - two BBQ areas. No waiting to get onsite, express check in, 5min walk to shops. Dog friendly park. LP Gas Public Phone Coin operated laundromat. Playground, 400m to commuter ferry to central Devonport.